Click this button to fill out your tree planting form and don’t forget to upload a couple photos from your tree planting day. 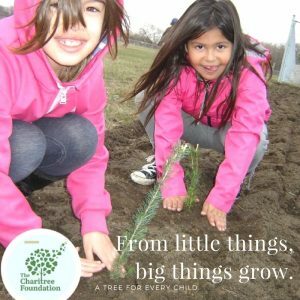 From little things, big things grow: Thank you for being a part of the 2018 CCA-ChariTREE environmental education project. 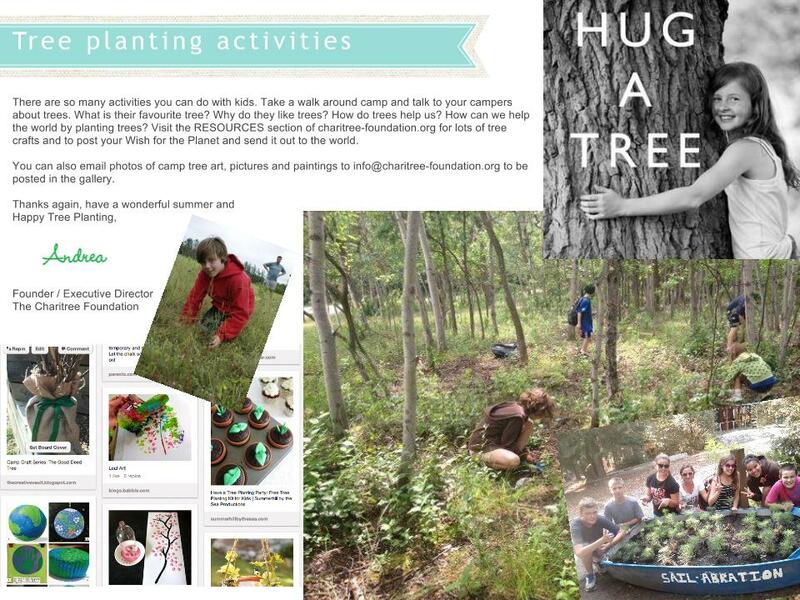 The ChariTREE Foundation (charitree-foundation.org) is the children’s tree charity. These days many children have less time and fewer opportunities to connect with nature. This is a real loss because research shows that contact with nature makes kids feel better about themselves. ChariTREE is about giving children an opportunity to connect with nature and contribute positively to their world. Kids are the future stewards of the planet and they want to be part of the solution too. 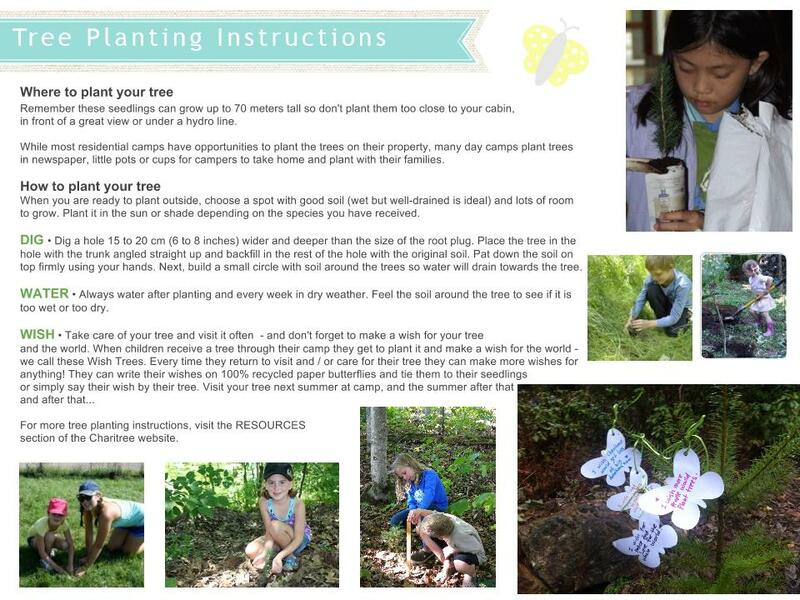 This year, more than 10,000 children at Canadian Camping Association camps and schools across Canada have received hardy native non-gmo seedlings as part of this important environmental education and reforestation project. A variety of species were chosen based on the province of each camp. Summer camps offer children unparalleled opportunities to switch off screens, live outside and connect with nature on a deeper level. The Charitree Foundation is grateful to The CCA’s Catherine Ross and all of the CCA Provincial reps and staff for getting trees to children so they can have an unforgettable opportunity to plant a tree at camp and return each year to see it grow.